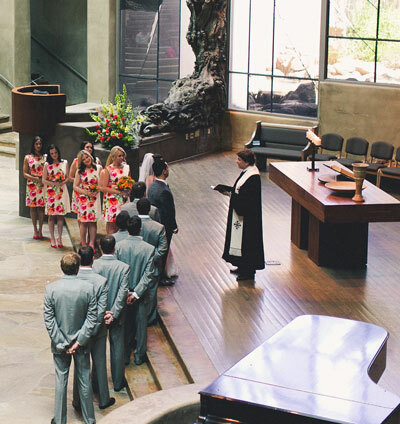 All weddings at Pinnacle are performed by a member of the church’s clergy staff. Couples wishing to be married at Pinnacle are not required to be members, however they must attend premarital counseling from the pastor performing the service prior to their wedding. Pinnacle offers two beautiful spaces for your wedding: for the larger weddings, the Sanctuary can hold up to 720 and for a more intimate ceremony the Chapel seats 200.